This article is about the Ethiopic language spoken in the city of Harar. For the local Oromo language, see Eastern Oromo language. Harari is the language of the Harari people of Ethiopia. 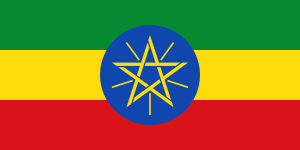 According to the 1998 Ethiopian census, it is spoken by 21,283 people. Most of its speakers are multilingual in Amharic and/or Eastern Oromo. Harari is closely related to the Eastern Gurage languages Zay and Silt'e, all of whom are linked to the now extinct Semitic Harla language. Locals or natives of Harar refer to it as Gē ritmā "language of the City" (Gē is the word for how Harari speakers refer to Harar, whose name is an exonym). Originally written in the Arabic script, it has recently converted to the Ge'ez script. aboch, a man; abochách, men. wandaq, a servant; wandaqách, servants. gár, a house; gárách, houses. gáfá, a slave; gáfách (for gáfáách), slaves. gubná, a harlot; gubnách, harlots. lijji, a son; lijjách (for lijjiách), sons. Maqbarti, a grave; Maqbartách (for Maqbartách), graves. faraz, a horse; farazásh, horses. iráz, a cloth; irázách, cloths. rágá, an old man; rágít, an old woman. wasíf, a slave boy; wasífít, a slave girl. bárá, an ox; lám, a cow. aboch faraz, a stallion; inistí faraz, a mare. aboch č̣abar a he mule; inistí č̣abar, a she mule. 1st Pers. - e, my or mine. : Gár-e, my house. 2nd Pers. - khá, thy or thine. Gár-khá, thy house. 3rd Pers. - zo, or - so, his. Gár-zo, his house. 1st Pers. - zinya or sinya, our. : Gár-zinya, our house. 2nd Pers. - kho, your. Gár-kho, your house. Sit-ayn: give (thou to) me. Sit-ana: give (thou to) us. Án atte hárkho: I myself went. Akhákh attekh hárkhí: thou thyself wentest. Azo attezo háre: he himself went. Án narkhú. Án alnárkhúm. Án halkho. Án elkhúm. Akhákh nárkhí. Akhákh alnárkhím. Akhákh halkhí. Akhákh elkhím. Hal. Azo nárá. Azo alnárum. Azo hal (<A>). Azo elúm. Inyásh nárná. Inyásh alnárum. Inyásh halna. Inyásh elnám. Akhákhásh narkhú. Akhákhásh alnárkhúm. Akhákhásh halkhú. Akhákhásh elkhúm. Halkhú. Aziyásh nárú. Aziyásh alnárúm. Aziyásh halú Aziyásh elúm. Sing. 1. I became: Án ikaní náarkho. 2. Thou becamest: Akhákh tikání nárkhí. 3. He became: Azo ikáni nárá. Plur. 1. We became: Innásh nikání nárná. 2. Ye became: Akhákhásh tikání nárkhú. 3. They became: Aziyásh ikání nárú. Sing. 1. I become: Án ikánákh. 2. Thou becomest: Akhákh tikánákh. 3. He becomes: Azo ikánál. Plur. 1. We become: Inyásh nikánáná. 2. Ye become: Akhákhásh tikánákhu. 3. They become: Aziyásh ikánálú. Become thou, "Kanni". Become ye, "Kánnú". Sing. 2. Become not, ikánnimekh. Plur. 2. Become not ye, ikánnumekh. Sing. 1. I went, Án letkho. 2. Thous wentest, Akhákh letkhí. 3. He went, Azo leta. Plur. 1. We went, Inyásh letna. 2. Ye went, Akhákhásh letkhú. 3. They went, Aziyásh letú. Sing. 1. I went not, Án alletkhúm. 2. Thou wentest not, Akbákh alletkhím. 3. He went not, Azo alletám. Plur. 1. We went not, Inyásh aletnám. 2. Ye went not, Akhákásh alletkhúm. 3. They went not, Aziyásh alletúm. 1. I go, Án iletákh 1. Inyásh niletáná. 2. Thou goest, Akhákh tiletínakh 2. Akhákhásh tiletákhú. 3. He goes, Azo yiletál 3. Aziyásh yiletálú. Sing. 1. I go not, Án iletumekh. 2. Thou goest not, Akhákh tiletumekh. 3. He goes not, Azo iletumel. Plur. 1. We go not, Inyásh niletumens. 2. Ye go not, Akhákhash tiletumekhú. 3. They go not, Aziyásh iletuelú. Sing. 1. I will go, Án iletle halkho. 2. Thou wilt go, Akháhk tiletle halkhí. 3. He will go, Azo iletle hal. Plur. 1. We will go, Inyásh niletle halns. 2. Ye will go, Akhákhásh tiletle halkhú. 3. They will go, Aziyásh niletle halns. ↑ Hammarström, Harald; Forkel, Robert; Haspelmath, Martin; Bank, Sebastian, eds. (2016). "Harari". Glottolog 2.7. Jena: Max Planck Institute for the Science of Human History. ↑ Gebissa, Eziekel. Leaf of Allah. Ohio State University. p. 36. Retrieved 27 June 2016. ↑ Braukhamper, Ulrich. Islamic History and Culture in Southern Ethiopia. LITverlag. p. 18. Retrieved 27 June 2016. Abdurahman Garad and Ewald Wagner. 1998. Harari-Studien : Texte mit Übersetzung, grammatischen Skizzen und Glossar. Wiesbaden: Harrassowitz. ISBN 3-447-03937-X. Leslau, Wolf (1937). "Contributions a l'etude du harari (Abyssinie meridionale)". Journal Asiatique. 229. Leslau, Wolf (1965). Ethiopians speak: studies in cultural background. University of California Press. Leslau, Wolf (1959). "An Analysis of the Harari Vocabulary". Annales d'Ethiopie. 3 (1): 275–298. doi:10.3406/ethio.1959.1310.